Database Systems Corp. (DSC) was founded in 1978 as a software development company specializing in database product design and implementation. 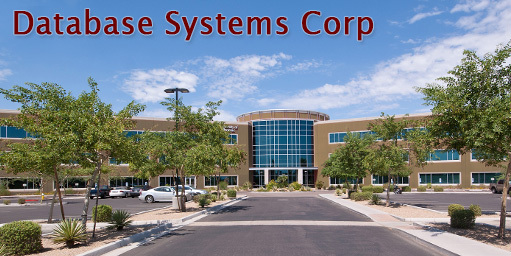 DSC is based in Phoenix, Arizona, and maintains its private corporation status. Database Systems Corp. has been a leading developer and marketers of computer related software products that eventually evolved into computer telephony systems. These solutions have been adapted for a wide variety of industries and government organizations. DSC maintains several operating divisions. DSC's primary service division includes IVR hosting services as well as voice broadcasting and call answering services. DSC also maintains an emergency notification group utilizing our autodialer technology that provides services and systems for the emergency market. These are provided primarily to government agencies and organizations needing emergency broadcasting systems and outsourcing services. DSC has designed and developed call processing equipment plus a full featured IVR system, voice broadcasting solution and text messaging solutions. Voice broadcasting systems and services are provided by our organization, along with our award winning Customer Relationship Management software. Why Select Database Systems Corp.? DSC has a proven history of success in our industry and has received numerous industry awards for its products and services. Our technical expertise, service, and products have contributed significantly to our longevity. DSC can provide your organization with reliable and time-tested solutions. Database has weathered the ups and downs of our volatile industry by focusing on our strengths and listening to the needs of you, our users. Included is a partial list of some of our customers that we've had the privilege to serve.